Summary: Something strange is going on in the textbook market. The price has steeply increased over the past decade–and they’re only getting higher. There is a disconnect between the chooser (the professors) and the buyers (the students). Technically, the professor is the consumer, and they’re spending their students’ money. The podcast offers the opposite: high school textbooks, where costs are kept low because the books are paid for by the schools. Summary: This podcast sheds light on supply and demand as well as elasticity using the well know car service Uber. Discussion Prompt (1) for short or long version: Think about yourself as a consumer of Uber/Lyft services– how elastic is your demand for uber? How do you know? What factors do you think make your demand for an Uber ride more or less elastic? You can think about specific times, or you can think about comparing yourself to other people whose elasticity of demand might be different. Discussion Prompt (2) for short or long version: This podcast focuses on the topic of ‘surge pricing’: how does this relate to price elasticity of supply? Is the supply of Uber drivers price elastic or inelastic? What factors might impact that? Discussion Prompt (1) for long version: Planet Money asks this question: If this is how markets generally work (ex. Stock market, copper market), why is what Uber’s doing considered so strange? This podcast is from 2014 (useful to us because it explains Uber in detail because it was new). In the time that has passed, do you think people have come around to this ‘economic way of thinking’ about surge pricing? Why, why not? Discussion Prompt (2) for long version: The podcast compares the pricing strategy of Home Depot with ‘ice salt/melt,’ where they don’t change the price but they do run out, to the strategy of Uber where they raise the price rather than ‘run out’. Economist Richard Thaler notes that these choices represent different profit maximizing strategies by firms focusing on long-run vs. short-run strategies. What does he mean here? How do these actions represent different profit-maximizing strategies by these firms? Do you think one is ‘more fair’? Written Prompt: Read this related article: Cohen, P., Hahn, R., Hall, J., Levitt, S., & Metcalfe, R. (2016). 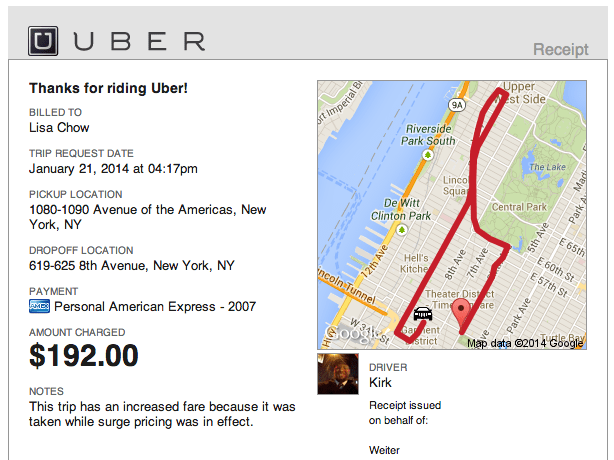 Using big data to estimate consumer surplus: The case of uber (No. w22627). National Bureau of Economic Research. Part of what makes this article innovative, is that it provided a ‘real-life’ consumer surplus estimate drawn from actual consumer data. Why do you think that it might have been hard to determine consumer surplus in real life before Uber (and similar apps/services)? Can you make any other links between this article and the podcast? Summary: This podcast discusses arbitrage (free money), using the example of used textbooks. Arbitrage (free money) is a risk-free way to buy low and sell high. You can find one thing that’s selling for two different prices, and exploit the mistake. Prompt: Imagine you find an opportunity like the one discussed in the podcast. Write an outline of how you would go about this discovery, and what your plan of action would be. Discussion Question: A woman in the podcast said their practice was immoral. Do you agree or disagree? Is what these two men are doing wrong? Use economic thinking in your discussion. Summary: Guar is a small bean, and it had a recent rise and fall in the marketplace. Besides being an additive to thicken many foods, it’s also used in fracking. When fracking took off, the price of guar rose. As the price increased, Texas farmers started growing a lot of it, until Pakistan and India–which grow 98% of the guar combined–caught up to the demand. As a result, oil companies stopped hoarding it, and the prices dropped. The Texas farmers were left without buyers, and caused a chain reaction of bankruptcy. Summary: The oil the United States has been pumping has been getting less and less profitable. In North America, oil comes from fracking shale, and after the first initial output, oil companies have to drill deeper and deeper to get to the oil, causing it to be more expensive to access. However, the price of oil is dropping worldwide, and that could mean that the United States could be out of the oil industry, simply because it costs too much to produce. Summary: There’s a theory in the personal finance industry known as the Latte Factor, which says give up the coffee drink and invest the money instead, and you’ll have enough to retire on. However, that theory doesn’t factor into the equation inflation and taxes, and is now being proven wrong.